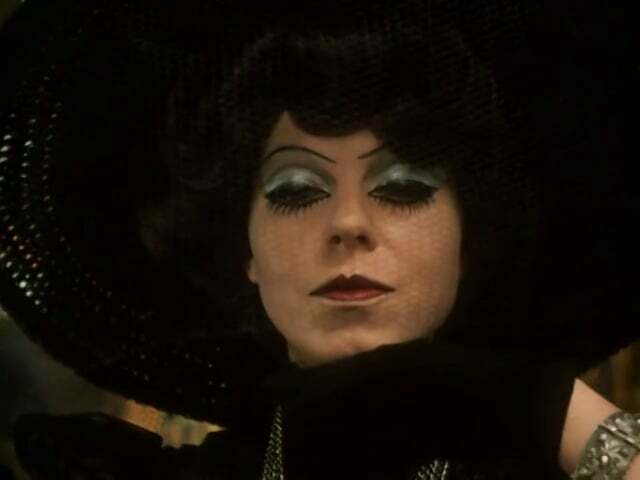 After watching and falling deeply in love with The Duke of Burgundy, I decided to seek out some of the films Peter Strickland cited as influences for his film. 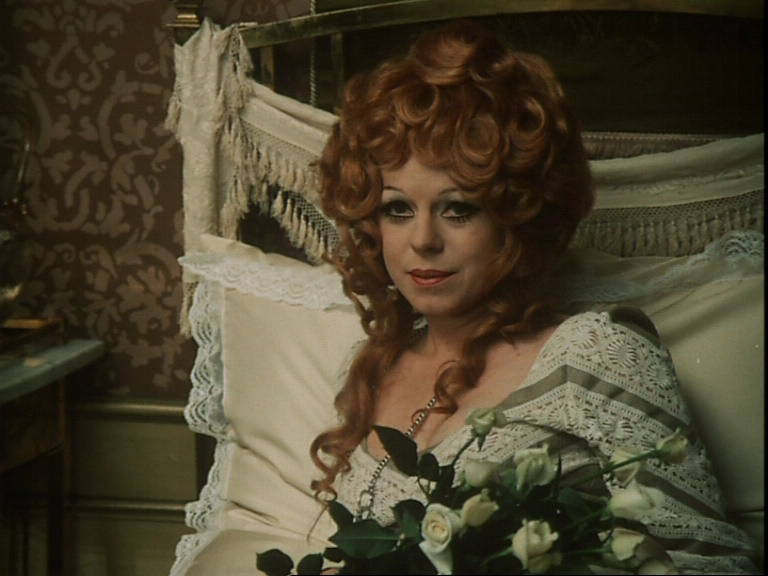 The first (and still, to date, the only) I watched was Morgiana, a 1972 Czech Gothic thriller, directed by Juraj Herz, about a woman who jealously plots the murder of her better liked sister (both roles played by Iva Janzurová). I should preface this with two things: writing this was very challenging for me as I find movies like this tend to be outside my comprehension in any kind of ‘academic’ way; I’m not familiar enough with films of this ilk. But I loved it and wanted to write about it. 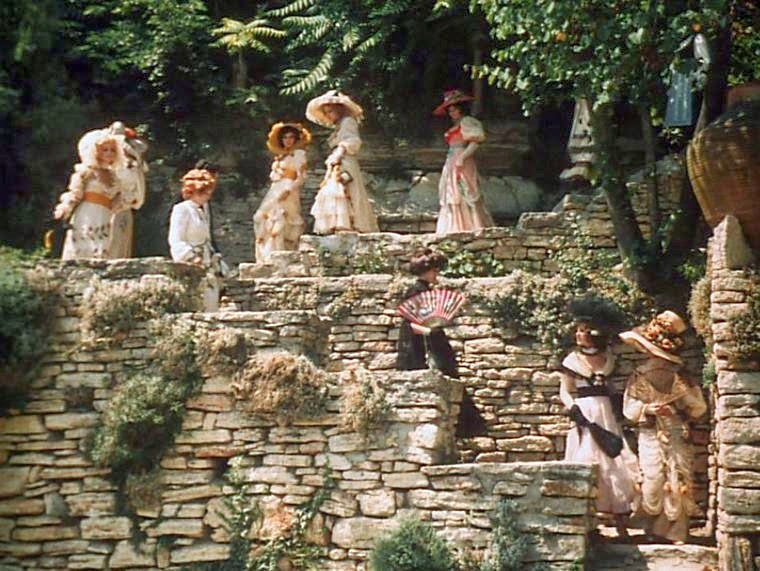 Morgiana is a histrionic fairy tale, a fevered dream set in an unspecified European region, brought to life with lush colours and delightfully gaudy sets and costumes. It opens with sisters Klára and Viktoria being instructed by a lawyer on the contents of their recently deceased father’s will: each sister gets one of his properties. Klara inherits the airy, pretty estate but Viktoria gets a supposedly haunted manor. This sets the tone for the two sisters’ personalities and how they are received by others. It is evident from the outset that Viktoria is jealous of Klára, who is easily amiable, cheerful and well-liked by everyone. Viktoria is the polar opposite of Klara, manifested in their equally different looks. Both women appear virginal but where Klára is ‘pure’ in the fashion of a fairy-tale princess, akin to Snow White, Viktoria is ‘repressed’, petty and jealous. She is more like the evil virgin queen, ice cold and remote with a deep mean streak (albeit more nervy than any evil queen). We see this in a scene where Viktoria sneaks up on some of her servant girls, bathing in the ocean, carefree and scantily clad, and gleefully throws a rock at one’s head. It’s interesting to think that’s it not just a matter of the virgin/whore dichotomy but that ‘virgin’ women are presented in different ways: it is either a virtue or a sickness. It is a testament to Janzurová’s acting and Herz’s editing that I often forgot that Klára and Viktoria were played by the same actress. 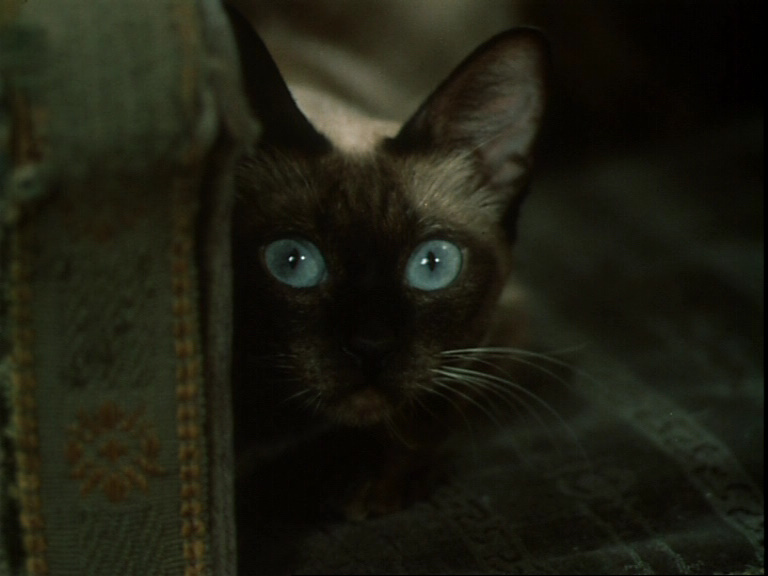 I found the editing and some of the camera ‘tricks’ to be quite interesting, if disorienting, such as filming from Viktoria’s cat’s (the eponymous Morgiana) point of view at times. The first time it happened, I immediately knew the camera had taken on the point of view of a cat, not only from the eye level but the movement which couldn’t be anything other than feline. The creepiness of Morgiana is more often in the dreamlike atmosphere and intense score (by Lubos Fiber) than in actual content. (Although a woman plotting to murder her sister isn’t exactly not creepy). It is more a psychological exploration than a straight-up horror. 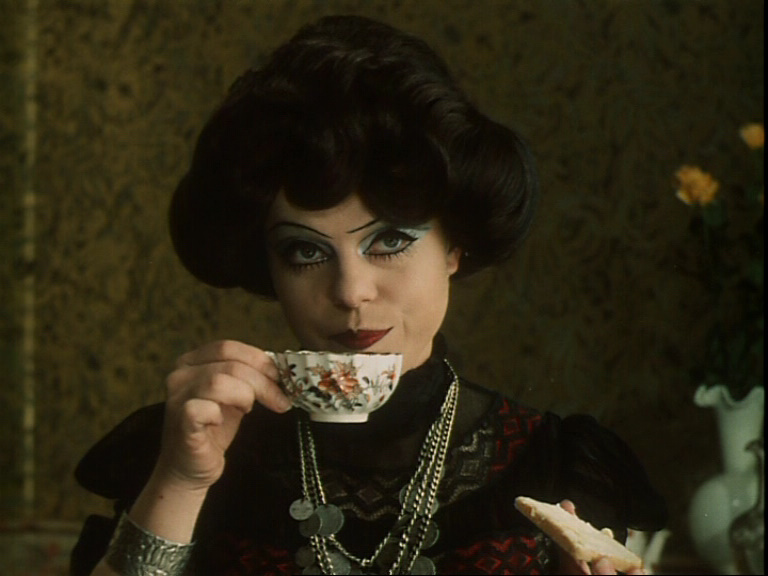 Even Viktoria seems a reluctant murderess at first, when she uses the slow-acting poison she procured and immediately tries to get Klára to drink from a different glass. However, once Klara does drink she seems gleeful but nervous. She retires to her own estate, where she becomes increasingly paranoid, going so far as to test the poison on a dog (and then not knowing if the dog, a servant’s son or her own beloved cat drank the concoction). As Klára descends into illness, she begins to hallucinate another version of herself, in a flame-red dress (reminiscent of Viktoria’s red nightgown), who is more like the petty Viktoria than the amiable Klára herself. 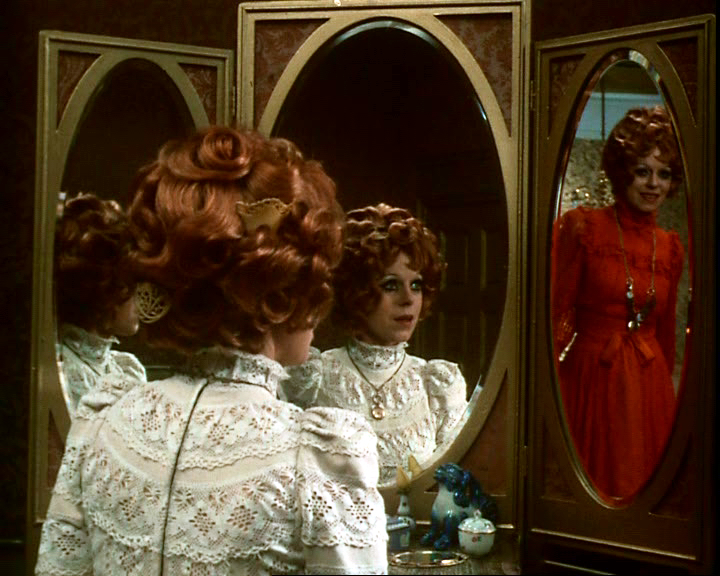 Mirrors are just one of the motifs used to hint at a fragmenting personality and unsettled psyche (apparently Herz originally wanted the film to end showing that both sisters were just aspects of one woman’s split personality, but couldn’t because of the censors at the time). There are also some kaleidoscopic scenes, that look like a 3D film viewed without glasses, that Klára sees in her fevered state. 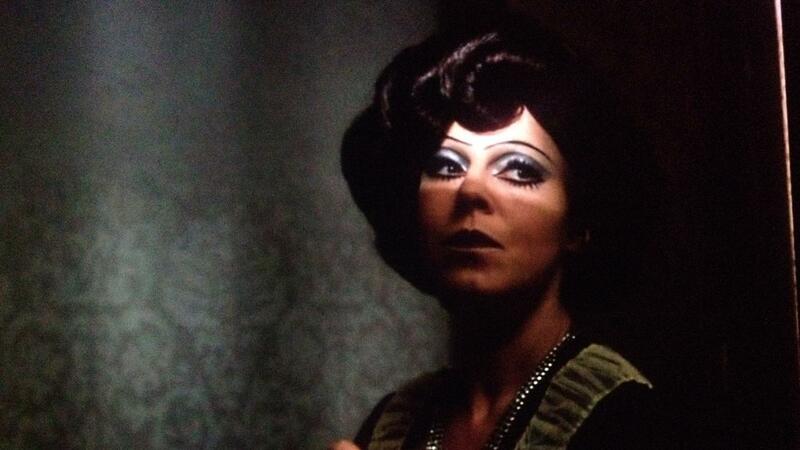 The 1970s does Edwardian costumes were swoon inducing and that OTT makeup was to die for. (Pardon the pun). There was one scene that reminded me a bit of Maya Deren’s Meshes of the Afternoon (a scene where one of the sisters is running along some stairs or a road by a beach or similar that reminded me of the repeated scene in Meshes). I’m not sure that this was an intentional inspiration for the film, but I’d only watched Meshes recently, so my mind made the connection. The dreamlike quality of Morgiana fits well with the actual dream represented in Meshes, though. The make-up of my teen goth dreams. There is another beautiful, mesmerising scene in which Viktoria is looking through an old trunk, and she pulls out all these gauzy, delicate dresses, letting them float about her as they drift to the floor. The chiaroscuro lighting lends an eery atmosphere, as the dresses become ghostly forms. 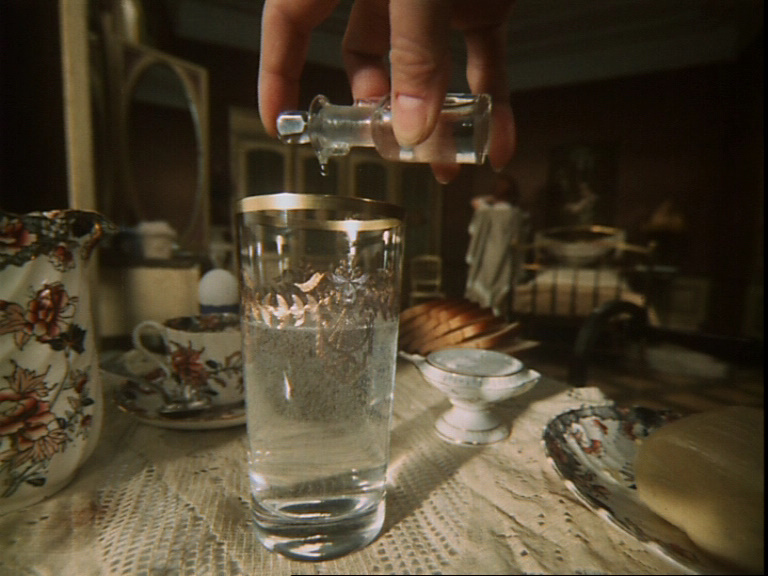 Strickland lifted this scene to great effect for The Duke of Burgundy. Morgiana is a strange film that had me captivated throughout the entirety of its running time. It’s definitely one that I want to revisit and think about some more, in the future.